I've never written an online review before, but after speaking with Alan, I couldn't feel more pleased with his advice and expertise. I called him on a weekend and spoke with him regarding a new refinance and he was very patient and answered all of my questions. He was very easy to talk with and i really cant recommend him enough. Its not everyday you find someone in this business that is honest. I contacted this lender our of all the quotes I received because he was in Hawaii and his quote stated that he did it personally, and not some automated system. After speaking with him, I felt that he listened to me and asked questions that other mortgage people didn't. He was able to get me a rate I am happy with. Although there were other lenders who's rates looked lower, I did not want to use a mainland mortgage company after a previous bad experience. Efficient, responsive to questions and quotes/fees were consistent throughout. Good support team. Were far more on the ball than the 2 major banks that I worked with BOH and Wells Fargo. He is spot on as far as info regarding a refinance. I decided that I would not proceed but not because of Alan who helped me to analyze my situation. I would highly recommend him. Alan and his staff were immensely helpful in the refinance of our house. He was even available by telephone on the weekends when I had questions. He cheerfully went “the extra mile” several times to facilitate completion of the paperwork and other requirements for our refinance. I would be happy to recommend him any time to handle your mortgage. Alan is very efficient and knowledgeable in mortgages. I would highly recommend him to anyone looking to refinance or financing their first home. He listens carefully to what you would like to accomplish when you are borrowing money and helps you make a wise decision. Very pleasant and spends quality time in a very efficient manner. Reviewed our circumstances and matched a mortgage to meet our needs. Easy to work with and always available for questions. We were very comfortable working with Hawaii Mortgage Company. I worked with Alan and his team to purchase a home in Kapaa. He's very nice and on top of things and the industry. He's easy to reach when you have questions and steers you and educates you through the process of getting a loan. Max and Maura are also very professional and friendly when having to contact them. It was a very good experience and will tell my friends about them. Mahalo! The biggest worry most consumers have with using a lender found on the internet is the lack of local knowledge about Hawaii’s unique properties. Hawaii Mortgage Company, located on Oahu, has the know how and expertise to finance any type of property. If you are considering a Condominium-Hotel, Vacation Property, Vacant Land, Construction, a Residential Condominium, Multi-Unit Property, or a Single Family Residence, we have the financing available for you. Everyone wants the best rate possible. Hawaii Mortgage Company has offered extremely competitive rates for over 19 years. When you are comparing rates from various lenders, are you also comparing their experience, understanding, and knowledge of your transaction? Would you feel confident letting someone from a call center on the mainland be in charge of your financing? At Hawaii Mortgage Company our professional local staff is located here in the islands to service our home state. Our seasoned mortgage professionals knew that the mid-2018 eruptions on Hawaii island didn’t affect the entire island. We know where flood zones are. We know how to deal with issues of unpermitted additions – so prevalent in Hawaii. Experience is also critical when dealing with income and employment. Having your income calculated wrong could result in a denied application. You may think your income is simple and straightforward, but if you collect overtime, commissions, or bonuses, there’s a high degree of certainty that an inexperienced mortgage person will get it wrong. If you are self-employed, the chances your income will be calculated wrong is even higher. Hawaii Mortgage Company has the experience and know how to calculate your income correctly, eliminating issues during underwriting. Your choice in lending should be the lender with the best rates and the most local experience. For over 19 years, Hawaii Mortgage Company has lead the mortgage industry in Hawaii in both categories. Check out our rates, then discover why Hawaii Mortgage Company consistently earns exceptional reviews from the people we provide financing to. 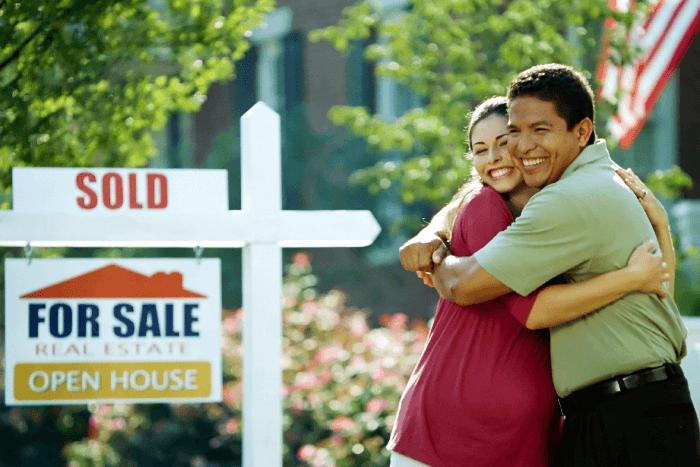 With Hawaii Mortgage Company, the loan approval process has never been as easy. A variety of secure and convenient application options are offered. These are Real Estate Agents that we work with and trust to provide you with the same level of service you have come to expect here. We offer mortgage loans for both purchase and refinance transactions and have a variety of options/programs to help you with your transaction. See all of our loan options!